MR. WONDERFUL — THAT’S YOU: (above) Lee Hale’s screen credit on a 1972 episode of The Dean Martin Show; and (below) as it appears on the 29 volumes of The Best of The Dean Martin Variety Show collection, for which Lee handpicked all the segments.TOP: A replica of the emblem used to showcase the honoree (or victim, depending on your point of view) on each of the Dean Martin Celebrity Roasts — most of which were produced by Lee. Make no mistake, though: What follows here is NOT a roast, but a toast — to one of the most outstanding musical arrangers and television innovators of all time. For years, he performed his artistic magic beyond the glare of the spotlight — yet his contributions to some of the most popular television programs of the mid-1960s and early 70s were sweeping, incandescent and indelible. 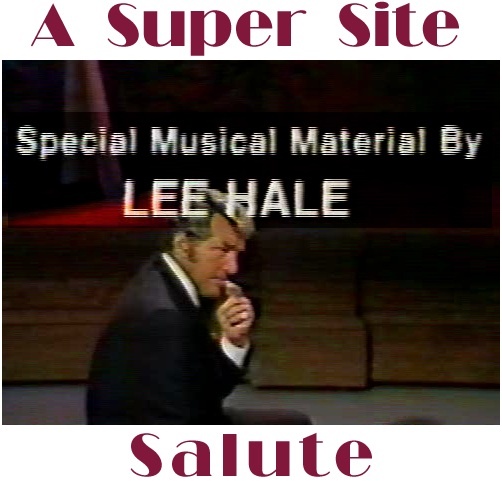 Arranging, and frequently composing, the words and music that instantly lent a special luster to those who brought them to life before the cameras, Lee Hale may have lit most of his creative sparks from behind the scenes, but the output of his genius glowed with a brilliance as dazzling as the stars themselves and with a luminous charm that struck a chord with the millions who faithfully tuned in each week to The Dean Martin Show, The Wacky World of Jonathan Winters, and the various incarnations of The Golddiggers series. Capable of working in any musical idiom, Lee Hale never encountered a set of lyrics or combination of notes that he couldn’t make sound richer, sweeter and more melodious, penning pitch-perfect arrangements that coaxed as much nuance, subtlety, and meaning out of a song as anyone ever has. As the Musical Director of The Dean Martin Show, Lee not only tailored numbers to fit the style of the host, but mastered that style so well that he was the one called upon to stand in for Dean during rehearsals. Yet Lee also had to paint on a much broader canvas, working with artists ranging from a diverse array of guest stars to the series’ regulars. As daunting a task as that might seem to have been — especially under the deadline pressures of a weekly grind — Lee always succeeded in blending the disparate elements into a cohesive whole — in the process, crafting polished soundtracks that flowed as smoothly as any that ever streamed across the airwaves. GOOD NEWS: Lee, seen above on the left, in one of his infrequent on-camera appearances — in this case, as a nattily-attired gent, giving an eyewitness account to roving reporter Dean, in a sketch from an early ’70s episode of Dean’s series. Perhaps one of the reasons that he was so adept at shaping songs to suit performers is that Lee had at one time sung professionally himself, as a member of a group called The Manhattans. He later went on to vocalize on two critically-acclaimed variety series, as part of the chorus on The Bell Telephone Hour and as choral director on The Entertainers — the latter airing on CBS just a year before Lee would be invited out to California to join Producer-Director Greg Garrison in shoring up NBC’s fledgling Dean Martin Show — a mission accomplished within weeks of his arrival. Over time, he would receive multiple Emmy Award nominations for his work on Dean’s program and for co-producing the prime-time special that celebrated NBC’s first 50 years of broadcasting. There were, of course, contemporaries of Lee’s who oversaw the musical content of other variety shows on television. But there were arguably none who surveyed the depth and breadth of the American pop music canon as consummately, affectionately, or with such élan as Lee Hale. Who else could resurrect such rarely-revisited but radiant gems as “The Music Goes Round and Round”, “But Beautiful” and Hoagy Carmichael’s “Gonna Get A Girl”, and breathe new life into them? Or add sublimely felicitous riffs and flourishes to even less-frequently-heard classics like “Love Is The Reason”, “(I Love You) Don’t You Forget It” and Cole Porter’s “The Physician” — rendering them, in our opinion, the best versions of those songs ever recorded. But it was more than just golden oldies with which Lee could stir TV viewers. His thorough familiarity with contemporary music enabled him to bring to audiences that would otherwise never hear it an under-the-radar soul groove like Pat Peterman’s “I Love The Way You Do Your Thing”, which he arranged as a sizzling standalone number for the Golds and even managed to work into a medley that the Dings did with Dean! Timeless standards or modern tunes…Original works or clever adaptations…They ALL occupy pages in the Lee Hale songbook. If, to quote one of Lee’s own lyrics, “Everybody’s Got A Little Song,” then Lee’s got a million of them. MUSIC, MAESTRO, PLEASE: (above) Lee with longtime colleague Van Alexander. The two, along with Geoff Clarkson, collaborated on music not only for The Dean Martin Show, Chevrolet Presents The Golddiggers (which Lee also produced), and the three Golddiggers LPs, but also for an album of instrumentals (below) featuring themes from Dean’s program and others, as well as compositions intended for future series. In addition to his compelling tome about his years spent working on one of the most successful variety series in television history (Backstage At The Dean Martin Show), Lee also penned chapters on Dean for a couple of anthologies on popular American singers compiled by Richard Grudens. What Lee was too modest to add was the extent to which his hard work helped to make DEAN’S job look easy. The closest that Lee comes to acknowledging that is to quote what the star himself once told him: “Every time he came out on the studio stage, he’d look around for me. ‘I owe my life to you out there,’ he once confided to me.” And there’s little doubt that Dean wasn’t the only performer who ever felt that way. THERE’S NO BUSINESS LIKE SHOW BUSINESS: (above) Four titans of talent — Lee, Orson Welles (a frequent guest on Dean’s show), Dean, and Greg Garrison. Next to the man whose name adorned the series’ title, Lee Hale might just have been The Dean Martin Show’s most valuable player. As is by now fairly well-known, he was also the man on the front lines responsible for selecting every pretty face, fabulous figure, and talented voice that graced the lineups of The Golddiggers, The Dingaling Sisters and Dean’s Girls. And those ladies, in turn, sing Lee’s praises with a passion: By all accounts, he is adored by every one of them. So for The Golddiggers Super Site, it seemed obvious that there could be no better way to pay tribute to such a beloved figure as Lee Hale than to do so in the words of some of the women whose careers he helped to launch. When we put out the call to them, we weren’t sure how many would respond. After all, we know that no matter how heartfelt one’s sentiments may be, these kinds of encomiums aren’t easy to compose. But it should come as little surprise that for Lee, there was no shortage of hosannas, with their authors spanning the gamut, from those who appeared in the very first set of Golddiggers to those who were part of the very last (with plenty of other Golddiggers — and Dingaling Sisters, too — in-between). For Lee Hale is indeed the common denominator among all of these gifted gals. Something that we couldn’t help but notice in their messages to Lee was how often certain words kept cropping up — particularly, words such as patience and kindness — traits not often associated with those who climb to the highest rungs of the ladder in the often cutthroat world of show business. But then again, we’re talking here about not just an extraordinarily accomplished gentleman, but also a truly gentle man. Lee, what all of these gentle ladies seem to be saying (and we’d agree) is that there’s Nobody Else Like You. And while we had originally hoped that this little presentation would be ready Last Summer (which still Seems Like Yesterday), It Makes Us Feel So Nice And Warm that at last, The Time Is Now…and There’s Something Big Coming Up On Your Screen. It is with tremendous gratitude and deep appreciation that I write this letter to you. First of all, I would like to take this opportunity to thank you for believing in me and giving me the chance to start my ‘Hollywood’ career on Dean’s TV Show. I was thrilled to be able to try out (along with 500+ other girls) for the “ONE” open spot available to become the last Ding-A-Ling Sister ever hired!!! When I look back to the 2nd day of auditions for The Dean Martin Show (October of 1972), I remember singing “I Feel The Earth Move” for you while you played my sheet music on the piano. You encouraged me and gave me the confidence to come back the next day for the dance auditions. Each day of auditions (5 in all) you found something nice and uplifting to say. I have to say that if it hadn’t been for your positive attitude and encouragement, I might have gotten intimidated and stopped trying. When Friday came and Greg called us (3 girls left by the end of the week) into his office, I was sweating bullets. Perhaps you’ll recall the fact that Greg made me sit down and sing at the final audition (Michelle, Helen, and Jayne were sitting in the NBC studio audience). He was always testing me…I guess to see if I was a quitter, because I’m sure he was tired of replacing girls at that point in time. I don’t think he knew he was dealing with a very determined, stubborn Swede from Nebraska who doesn’t take ‘NO’ for an answer (Jay Bernstein later found this same thing out when I auditioned for the role of ‘Velda’ on Mickey Spillane’s Mike Hammer). Greg later told me that he was going to use me at the next taping and then he’d use the other girl (who looked like Tara Leigh) at the following taping….then he’d decide who got the job. I was both excited and deflated at the same moment. As we continued to work together that season, you were the constant rudder of the ship! Your patience was never ending! Your music expertise always amazed me! The discipline I learned from doing this show helped me in many ways later in my acting career. I even got to use my dancing/singing abilities on several TV Shows (Charlie’s Angels, where I was a Ballroom Dance Contestant, Cycling Through China, in which I impersonated Charlie Chaplin for the Chinese students and danced with Ben Vereen (in full costume and make-up) for the Chinese Opera in Fushon, China (amazing experience), and last but not least, Tap Dancing with Sammy Davis and Fayard Nicholas at the Variety Club Telethon in 1986 in our old studio at NBC (wow….I was in heaven that day!). So, Lee, from the bottom of my heart, I THANK YOU, my friend! I wish you health, happiness, and great joy at this chapter in your life! Thank you for asking me to participate in the tribute to our precious Lee Hale! From the moment I made eye contact with him at The Golddiggers audition in N.Y.C., I fell in love with him. He had the kindest eyes and most beautiful smile. He put my heart at ease during a very nerve-wracking experience, to say the least. We (the Golddigger girls) were told by Greg Garrison that we would never meet a nicer man than Lee Hale. I will tell you for sure that this is the truth. I felt so blessed to be in his company on a regular basis, and I miss him every day. I cherish my friendship with Lee and I sincerely hope to give him a big, big hug some day soon. He taught me so many things about singing and he was such a comfort to me always. California was a long way from home for me. He invited me to his beautiful Beverly Hills home many, many times. I felt so much love from him and still do. He is multi-talented and a beautiful human being. I adore Lee Hale. I always have and I always will. I have so many memories of you. I remember your extraordinary patience…rather on a heroic scale…saddled as you were with 12 fledgling kids, wet behind the ears. Oh, it wasn’t our fault, most of us (with some notable exceptions) were right off the farm (that was Greg’s choice. But, Greg didn’t have to work with us). You, Lee, ended up with having to get us into shape. How did you maintain your cool??? I’ll never know. I don’t remember that you ever raised your voice. I don’t remember that you ever were short with anyone, even under the most trying circumstances. I don’t remember that you ever singled anyone out. I don’t think you ever treated any of us with anything less than kindness and respect, even going so far as to invite us all over to your home for parties from time to time (as if you didn’t see us enough at work)! You gave us little presents!…What a guy!! — Poor fella. I am sure you went home at night, after long days with us, and had more than a few drinks before retiring to your room and weeping into your pillow in abject frustration. Lee, you were a blessing to all of us. You were my introduction to show business and your memory has stood me in good stead all of my show-biz life. Lee, do you remember, on the occasion of our first ‘pay raise’ as Golddiggers, for some reason Greg decided to cheat me out of mine (to the tune of $22.50 per week, as I remember). I called Greg from the road to confront him, and to his credit, he paid me the raise retroactively. Lee, you asked me if I had written Greg a note of thanks. I said to you, “No. Why should I thank him? He didn’t give me anything that I didn’t earn and he shouldn’t have cheated me in the first place”. True enough, but ahhhh, the ignorance and boldness of youth. So, what did you do, Lee? You went to Greg, made up a lovely ‘thank you’ speech “from me”, and delivered it to Greg. Do you remember? The tiger was placated and I escaped unscathed. Ah, Lee. In how many innumerable ways did you ‘save’ us? Do you remember when Paula Cinko and I were in an automobile accident? I had been driving and even though it was not my fault, I was paralyzed with guilt and grief. I went to the hospital once (where Paula was convalescing), and couldn’t bring myself to go again. So, Lee went. The memory still brings tears to my eyes. I still feel the upset about that time. Lee, you were always gentle with me. I was such a basket case. I was a game filly, but I was terribly confused. You were always so deeply sweet to me. Blessings on you, gentle man. God bless and keep you always. You are a blessed memory and a standard that few can live up to in this business. I will never forget you. You live in my heart for just as long as it beats. I hold you there. Love to you and deep gratitude for all the wonderful times that still live in me, and for all the kindness you showed me — and all of us. Of all the people who I have known in my 58 years of life, there are some that will always stand out as true blessings. As a young girl with stars in her eyes, what more could I have asked for than to be guided by the very talented and capable hand of Lee Hale. It was almost as if he always knew how very sensitive and concerned I was to do an exceptional job for him. I just instinctively knew that this man was going to bless me and help me grow as a singer. From the first to the very last song that I worked on with him, I knew his only concern was that I sing at my very best. I remember the first time I sang alone with Dean Martin, just a few lines of “Everybody’s Talking at Me,” my throat tightened up and I felt like I could have done much better. I went over to Lee, practically in tears, exclaiming, “Oh Lee, it wasn’t good enough, I wish I could do it again.” My first lesson in live TV… Lee, so concerned with my lament, asked Karl Messerschmidt, head cameraman, to roll the tape back just for me. And in a very gentle, loving voice, Lee said to me, “It’s just fine, here, listen, it is good.” After I calmed down, and as he watched the tape with me — stopping his world just for a forlorn Golddigger — he gave me the confidence to go on. From then on I knew I had a someone who truly cared about my performance and how I felt, as a person. Never did I hear Lee raise his voice. As if he was my older brother, he guided me and helped me learn songs and aided me in the style and sound that was right for my voice. What good fortune!! Every solo he picked just for me was always in the perfect key. I would come to rehearsal every day knowing that I would begin with a session of music and voice with Lee. It felt like he was private director to all of the girls, who sat expectantly like giggling college girls, hungry for our new music, with so much energy, ready to sing. Accompanying him on piano originally was Geoff Clarkson, then Bill Lockwood, and later, dear Paul Moer. We would rehearse all day. Then, if we were lucky enough to be in a skit, Lee would give us our script and he would work as Dean’s stand-in, always helping us and always patient. I was so fortunate that he also directed me as a singer on the Jonathan Winters Show. On every number, he consulted me as to the song choices and asked if I liked them. Imagine me, giving Lee my opinion! That alone shows you how concerned he was that the songs I sang were ones that I enjoyed singing. My fondest memories of Lee are of coming to those rehearsals and sitting down with him, excited to begin another week of fabulous music. Lee also had a passion for sweets and I know everyone remembers the delicious doughnuts he would bring in for all of us to share. I also remember his mechanical pencils, as he was always making notes and, of course, sharing them, so Miss Michelle could make any notations. Mechanical pencils — ah yes, mandatory equipment for arrangers! There are so many wonderful memories that my heart must say to Lee, how grateful and how lucky I was to have worked with and to have known a man who was gifted with all the fruits of the spirit. Patience, kindness, goodness, compassion, and a deep true talent. So many times I wish I could close my eyes and go back and live just one more day of rehearsal, prerecording, with all the other gals who made it all possible. May God richly Bless our wonderful Musical Director, as he has so richly blessed me and so many others who worked on those shows. Peace, dear Lee, from a Golddigger, a Dingaling Sister, a Soul Sister, and then a solo performer on The Dean Martin Show. What a glorious ride it was. If I had to choose three words that describe Lee Hale, they would be: clever, humble and kind. When I joined The Golddiggers, I left home for the first time; for a small town girl of nineteen years, it was pretty scary. Lee was the person who made me feel comfortable. Like an Uncle or a Dad, his genuine caring attitude got me through tough times. Lee had a knack for finding the right material to enhance each girl’s talents. He encouraged us by giving us solos on the TV show. He knew the craziest songs, or made them up. I remember him teaching me a song for The Dean Martin Show in 1973, that went something like this… “When it’s apple blossom time in Orange, New Jersey, you’ll be a peach of a pear. If we cant-alope, honey-dew please be mine…”. Lee was and still is a gifted singer and songwriter. He was great in our Showstoppers‘ “Golddiggers Reunion Show” with his original song, “Prostate Blues”. It brought the house down. Lee Hale is the person responsible for bringing the Golddiggers act through several decades. He always believed in our singing abilities and he gave us challenging, showstopping material that grew us into leading ladies. We were a popular Las Vegas opening act that worked regularly for Dean Martin and other stars until Dean’s retirement. My time as a Golddigger started when I was 19 years old and ended at thirty-something…Lee was the musical genius that made every season of The Golddiggers successful. Thanks, Lee, for your support all these years. You’re the best. Of course, I would be honored to pay tribute to Lee Hale. Thanks for including me. Mr. Lee Hale has the patience of a god. He’s a true gentleman…and in this business, that’s quite rare. I was a dancer, not a singer…and yet, Lee was always kind and never made me feel out of place. I will always be grateful to him for trying to teach me the few notes I had to sing. (Lee, I did try my best.) Thank you for being the talented, kind, sweet, gentle person that you are. I was so delighted to recently have lunch with you in celebration of your birthday. You are still as handsome as ever, full of wonderful stories, and forever inspiring to those around you. Lee, you have the unique ability to make the person you are conversing with think they are not only the only person in the room, but the most beautiful and special. Several decades ago you gave a young girl from Cincinnati with ‘stars’ in her eyes the opportunity of a lifetime. Your insight into my abilities launched a career that has taken me on a beautiful journey, starting with The Dean Martin Show and working with Dean for over 12 years, to the screen, and now to my own talk show. Always encouraging with everything from the birth of our daughter Gina, to my marriage to Dale, plus a life full of philanthropic activities, you never missed a beat in supporting and applauding my every turn. Thank you, Lee, for being such a gentle, loving spirit. I will be forever grateful that you have been a part of my life. It is such a pleasure to be able to write to you. I have been pondering what I would say to you after all these years and it always comes back to two words. Thank you. You were such a pleasure to work with. I can distinctly remember rehearsals, all of us sitting in a little circle, and you patiently singing my part(s) into a small tape recorder. I still have that tape recorder and a few rehearsals with you singing into my ear! You made everything so easy. Always pleasant, always enthusiastic, always patient and helpful. I cannot remember anything negative from Mr. Lee Hale. Always smiling, always happy to see us. I was very young, nervous, and you made me look good. I trusted you, and looked forward to the music rehearsals every week. Your musical taste was impeccable and your sense of humor was first class…so are you. A few years back, my mother was elderly, wheelchair-bound, almost deaf, and extremely ill. Somehow (she was always great at this type of thing) she was able to contact you and arrange for an autographed copy of your book. She wanted to give it to me for Christmas. You were so kind to her. The same man I remember from so many years ago, took the time to make someone he probably didn’t remember feel important. A precious gift to someone like my Mom, and me. You will never know how much that little gesture of kindness meant. Not to mention my delight when I opened my gift on Christmas morning. Thank you, Lee. You are a very special man. It was a privilege working with you! Lee Hale is one of the kindest, most patient and most talented people I have ever met and had the pleasure of working with. I, being a well-trained dancer and not a vocalist, know first hand. Lee guided me through singing and I’m sure sometimes it was quite agonizing for him. He never displayed his frustration and only developed my self-confidence with kindness and praise. I learned so many great lessons from him that carried through for life. I will be forever grateful and Lee Hale will always hold a special place in my heart. When I recall working on The Dean Martin Show, there are so many mixed feelings that come to mind. It was my first real continuing job in the world of showbiz! I had worked on a few shows for Rowan and Martin’s Laugh-In‘s last season, I had traveled the world for the Bob Hope USO Christmas Show, I had campaigned on the Miss USA-Universe Pageant as Miss Ohio. But joining the Dean Martin Show as a series regular was new and special and scary. I was only 20 and had only been in Hollywood a few months. Things were going so fast and I was learning so much. There were so many reasons to be afraid and trying to figure out who to trust was a huge issue. The one place where I knew I would always get a straight answer, a warm smile, and a friendly reception was with Lee Hale. For me it had nothing to do with the work he did on the show or for the Ding-A-Lings. For me, it was his genuine heartfelt desire to help, to make it work. Thank you Lee for being there more than you know. Is there a man that could be a director and teacher for countless young women of ambition and changing hormones and never lose his cool? Yes! His name is Lee Hale. He was our mentor, musical director and a producer of Dean’s TV Shows and Specials…and he’s a friend. Being one of The Golddiggers since 1973 and until 2003, I had the opportunity to see the enormous respect that Lee Hale has from the show business community and celebrities! Lee was a performer himself, so you knew he understood the performer in you. He was always gracious and made you feel comfortable in rehearsals. He even wrote clever musical material for our show! He knew how to bring the best out of each girl by finding that special song that would make her shine. He had great musical instincts! It wasn’t until I started producing “Showstoppers,” our Golddiggers reunion shows, that I understood the magnitude of his responsibilities and how much I had learned from Lee. What I can’t understand is how I never once saw Lee lose his patience! He always seemed open to listening and would be generous with advice that would be truthful and supportive. How lucky we are to have this opportunity to pay tribute to Lee, who has given so much of his talent and expertise to us throughout the years. Lee, we are so blessed to have had you in our lives! I wanted to take a serious moment here, to say some things that, due to your amazing humility, might otherwise embarrass you in person. 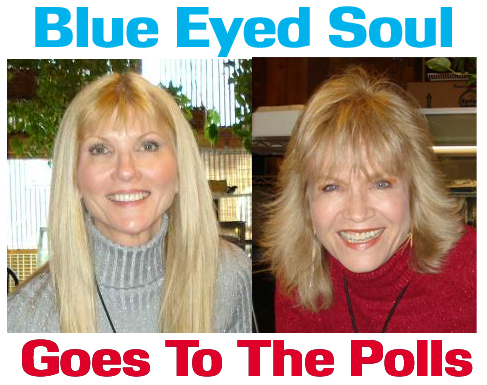 In my eyes, you are the one person who kept it real for Dean Martin, The Golddiggers and The Ding-A-Ling Sisters. Your special ability to turn any tumultuous/chaotic situation into a safe place for young, inexperienced baby girls like us — that was your greatest gift to us, one of the most memorable gifts any of us has had in our lifetimes. You have a unique and unusual gift of being able to recognize talent, how to carefully and thoughtfully create, build, plan, and finally present it for us all, both as a group and as individuals. You were able to make each and every one of us shine 100% of the time and that is the reason why the ratings soared sky-high when we were added to the show, from day one. YOU did everything in your power to create DIGNITY and respect for us through tasteful, well-thought-out material and numbers. You were like a big brother or a father who cared for and sheltered his sister or daughter from the insanity of the real world. You did it in such a quiet and unpretentious way that the “powers that were” weren’t even aware that YOU WERE THE ONE we admired, revered and counted on; you were the one we trusted and felt truly safe with. Not only has God gifted you with tremendous talent, but also great compassion and humility. You were, and still are, my HERO. Lee Hale was one of the three folks who auditioned me in Patsy Swayzee’s Dance Studio in Houston Texas in the later part of 1970. The others were Janet Tighe, Greg Garrison’s assistant and the wonderful late Jonathan Lucas, the show’s choreographer and assistant director. Lee was the one who gave me the solo opportunities I was fortunate enough to have as one of The Golddiggers. I was all ears when Lee was around, waiting to hear a morsel of good advice and guidance as a performer and always hoping for his approval. He knows his stuff and I always like to listen to smart, talented people! As a person, Lee is such a kind-hearted man and handled us with kid gloves, which was a very nice thing, being that most of us were still in our late teens at the time and tender-hearted ourselves. He still encourages me to keep singing and I always will. I love you and thank you, Lee Hale! When I first worked with Lee, it was on The Dean Martin Show before I joined The Golddiggers. I was a skit player, doing the occasional one-liner and musical setups for Dean. I remember wondering why this man who was running all of Dean’s material for him (Dean wasn’t into rehearsals) wasn’t a star on his own. He was handsome and talented, I knew that much, but there was so much more. When I joined The Golddiggers a few years later, I grew to know the man who was still handsome and talented, but also had the most caring heart. He would have the patience of a saint, dealing with six women and all that goes with it. He was our music man, mentor and substitute father. He had a way of gently pulling us together when we would drift off-point, never raising his voice, even if we did. I have so much love and respect for him. I know my time in The Golddiggers was a gift. I have “sisters” I would have never had and the privilege of working with Lee. I am blessed to have him in my life. You will always hold a special place in my heart, Lee. I love you and thank you for making a young woman’s dreams a reality. God bless you, sweet man. I was so honored to be mentioned in Lee’s book, Backstage at The Dean Martin Show. I have nothing but the fondest memories of my 8 years traveling and performing with Dean Martin and the the Golddiggers and other headliners throughout the U.S., Canada and Mexico. I was the youngest and last girl to join the Golddiggers group. My audition took place at NBC studios. There were 8 girls who auditioned every day for a week and then 4 were selected. This was in 1978. I performed off and on with the Golddiggers and Dean until 1991 when Greg Garrison ‘retired’ the group. You can well imagine what it was like for me being 19 and never having been to Vegas. Driving us into town was our musical director, Bill Lockwood. I could see the lights beaming like a magical mirage across the desert…We were opening for Dean Martin at the MGM Grand Hotel and the run was for two weeks! headlined in City Lights at the Flamingo) and, of course, to be so lucky as to watch Dean every night from the wings. When people ask me about Dean, I always say that the man had incredible timing…And the the best wit. What a class act he was under any circumstance. I later recorded my third album and just HAD to do a song that ran through me like my best memories of those times with Dean and the girls in Vegas. The song was “You’re Nobody Till Somebody Loves You”. Always a classic, just like Dean. But it was Lee Hale who gave me confidence in myself as a singer and helped me stretch into new musical waters. He is and always will be in my personal book of mentors…The kind of person that you thank in your prayers. When I think of Lee Hale, I flash on Breakfast at Tiffany’s. At the end of the 1969 year we Golddiggers were preparing to leave for the Vietnam Tour with Bob Hope. Show rehearsals completed, our voices and bodies in tune, we were ready to take on the world, starting with President Nixon at the White House. We were gathering our clothes, shoes, towels together, when I saw Lee disappear from the rehearsal hall. A moment later he returned bearing presents. In his soft-spoken, elegant way, he wished us “Merry Christmas” and handed each of us 13 Golddiggers a gift — the fabled blue Tiffany box with the white satin ribbon. As we feverishly unwrapped our gifts, we were oohing and ahhing with excitement. First the ribbons fell to our laps, then the blue lids and the precious, crinkly white tissue paper were torn away. There lay a sparkling, cut crystal basket. “A-Tisket A-Tasket, what a Tiffany basket!” Sweet and lovely, its purpose was multifold — for jewelry, potpourri, even candies. Holding it in my small hand, I caressed it, feeling all of its facets. This was the one and only Tiffany gift I had ever received, and it was from Lee. We girls were so happy and grateful. Throwing our arms around Lee, we hugged him, thanking him profusely for our treasures. In his low-key way, I could see that he was overjoyed that he had surprised us. His gifts were a hit. Eyes twinkling, he had that sweet “Lee Hale” smile on his face. Thank you, Lee, for making my dreams come true. Recalling your professionalism, musicality, kindness, and caring, I go to a time in my life that was peppered with excitement, love, dancing, and music! Every time I touch my Tiffany crystal basket, I think of you. To me you will always be like Tiffany’s – the finest and the very best. If I could be there in person, of course, I would hug you, Lee. You are one of the sweetest men I met in my show biz career. Your patience level and the talent you have for encouraging is masterful. I know you had the best of the best talent under your direction, as you wrote about in your highly entertaining book, and yet you made me feel just as wonderful as if I was an equal. The MOR (middle of the road) show you put together for The Golddiggers was so strong and ageless that it bridged decades with its variety of songs from the 30s, 40s, 50s, 60s, and on. I loved to watch the audience’s faces as they remembered the songs. I was always very proud to be singing the great medleys you put together. Over the years, you have always stayed in touch with “my group” of Golddiggers — Peggy, Patti, Maria Elena, Linda Eichberg, Linda Regan, Joyce, and Marie Peck — with our birthdays, weddings, shows and the last thing…the l5th year Anniversary Reunion of some of these gals on stage. You even got up and shared your talent with us with a song. I sang an opera piece that night and you came up afterwards and said to me, “I had no idea you could do that” …Remember? And then it was my friends buying your book and having it autographed by you…a real highlight for them. Lee, your life and career have been so beneficial to so many. I hope you are well, healthy and happy. I’m glad I got to be a small part of your life. We at The Golddiggers Super Site would like to express our deepest thanks to all of the beautiful and talented women who took the time to participate in this presentation. Lee’s chronicle about Dean and the personalities involved in making his show has been out-of-print for some time now, but used and even occasionally brand new copies can be found at Amazon.com. What little ditty with words and music by Lee — first used as a signature tune for a regular segment on Dean’s series during the 1969-70 season — was revived a few years later in purely instrumental form as the theme song for the Dean Martin Roasts? Here’s a clue: You won’t find the answer in any book or anywhere else online, but you WILL find that jingle referenced by its original name right here on the Super Site. If any sharp-eyed, sharp-eared folks out there can guess correctly, the first one to do so will be congratulated here on these pages. Of course, anyone who wants to is also welcome to press the button above to comment on the tribute to Lee, or any other item appearing on, or related to, the Super Site. This entry was posted on Saturday, September 20th, 2008 at 7:07 am and is filed under Uncategorized. You can follow any responses to this entry through the RSS 2.0 feed. Responses are currently closed, but you can trackback from your own site.